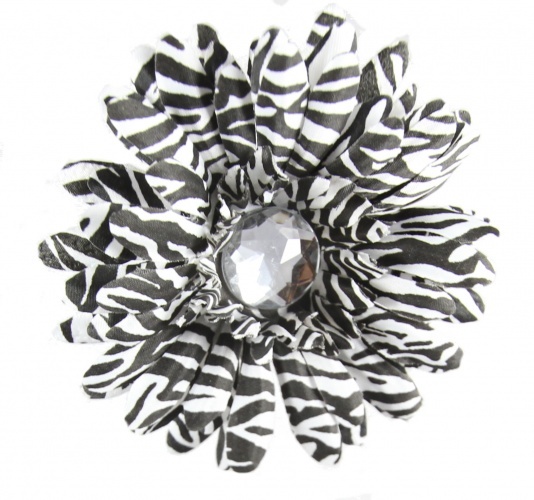 Black and White Zebra Print make this Flower Bow a MUST have. This is the hottest new crave- Zebra Print and Flowers!! This is attached to an alligator clip and ready just to slide in to your hair. The center is a white sparkly gem stone.